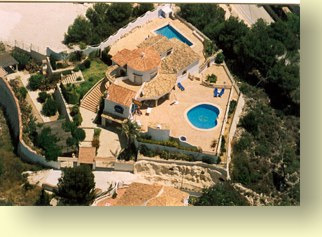 Moraira Villa rental: Luxurious 5 bed Villa with 2 pools private garden with stunning views. 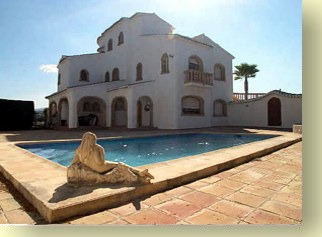 Luxurious 5 bed Villa with 2 pools private garden with stunning views. Luxurious Villa for 4/10 people situated in extensive private grounds with sensational Sea & Mountain views. 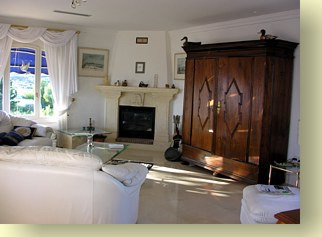 The Villa Limone overlooks the glistening Med and the pretty fishing Village of Moraira. 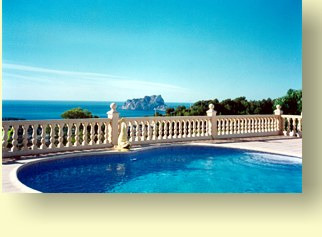 The front of the Villa is southerly facing and features Calpe Rock and wonderful sea views. The rear looks towards the mountains with Montgo (Elephant Rock) clearly visible. The house is a very large 3 story Villa that is ideal for two families or Parents with Children and Grand Parents who may like times when they can enjoy their own private space and tranquility. The upper floors of the villa provide the ultimate in luxury with marble floors, under floor heating, air conditioning and glorious views from every room. The Master Bedroom has its own private roof terrace, a separate dressing area and en-suite facilities with a Jacuzzi bath, twin sinks, shower and fridge. The main floor is connected by a curved marble staircase and offers a large fully equipped kitchen, separate dining room and lounge with a wood burner fire place. A second bathroom is followed by a guest bedroom with its own balcony. Through the French windows is a fully tiled terrace area offering an outside kitchen, BBQ, Naya and beautiful Heart Shaped Pool with illumination for late night dippers. This area is only surpassed by the incredible beauty of the stunning panoramic views. 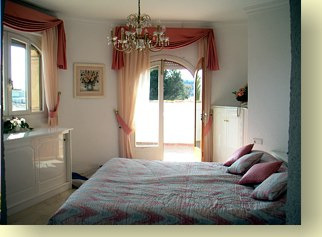 Villa Limone is available as a complete 5 bedroom Villa with two pools. Extensive gardens and fruit trees surround a BBQ and alfresco eating area. A large patio has a 8 x 4 M pool contained within it with a slide. 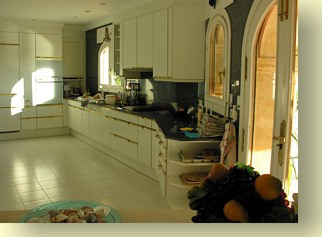 The accommodation comprises a good sized kitchen / dining room with fridge freezer & grill Oven with separate gashobs. Master double/twin bedroom, second double/twin room and 3rd twin bedroom, lounge and family bathroom.